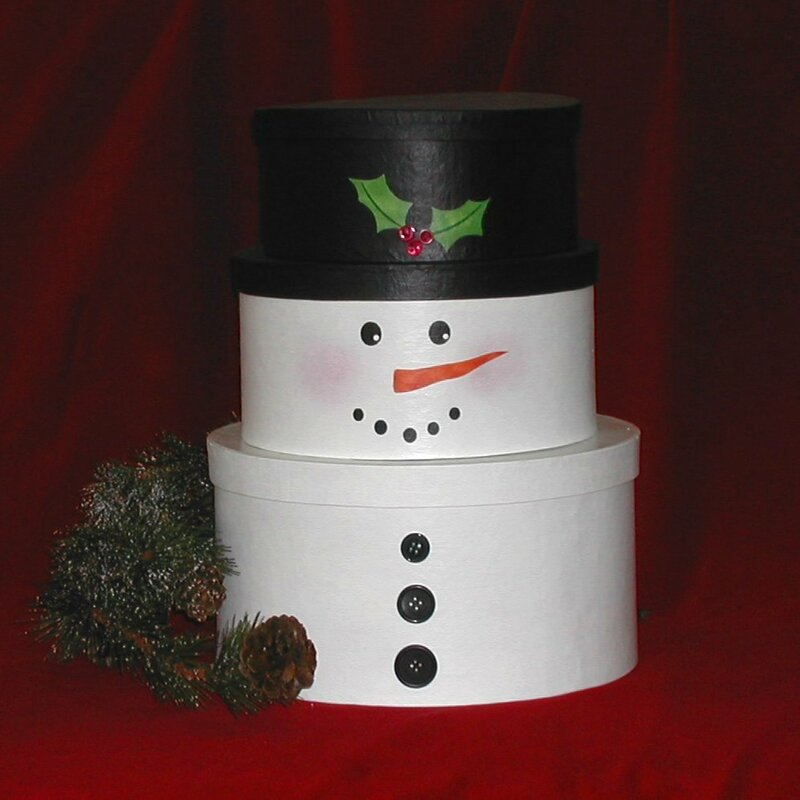 Snowman collectors and crafters alike would love our stackable snowman project. Store scrapbooking supplies or quilting supplies neatly inside this cute snowman! Using the spongebrush, basecoat the smallest box and lid and medium lid in black. Allow to dry. Spray acrylic sealer over boxes and lids. Allow to dry. Attach red buttons under the Holly Leaves with the craft glue. 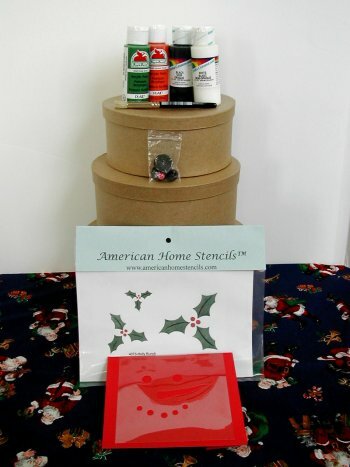 Attach black buttons to the largest box with the craft glue. We dry brushed Rose Bouquet acrylic paint to the snowman face to represent his cheeks.